Essential oils are the volatile aroma compounds of some plants after a process of extraction. 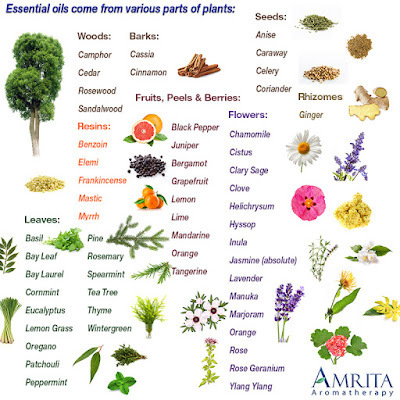 We refer to ‘Essence’ being the existing oil inside the plant and ‘Essential Oil’ as the product that has been obtained after a process of extraction. 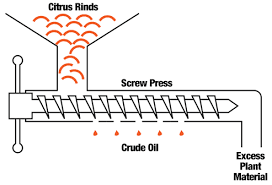 The oil in the plant is often partially developed, it gets its finished product only after the extraction process. 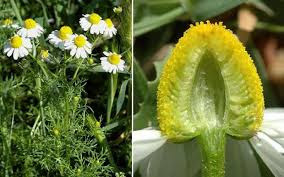 For instance the important compound in Chamomile (Matricaria chamomilla) is chamazuleen. Chamazuleen is only formed during steam distillation. It is chamazuleen that gives the blue colour to the Chamomile Essential Oil, as well as its benefits. True chamomile, Matricaria chamomilla/recutita contains chamazuleen, the plant colours blue after distillation. The first two are used to prevent and treat infections. The third one has relaxing properties. Seeds: Carrot, Dill, Fennel, Caraway. Wood: Cade from the Juniperus oxycedrus. Depending on where the plant grows it will contain different chemical compounds, even the time of the day the plant is picked makes a difference. It is important to harvest it when the esters (chemical compounds) in the plant are at their highest. 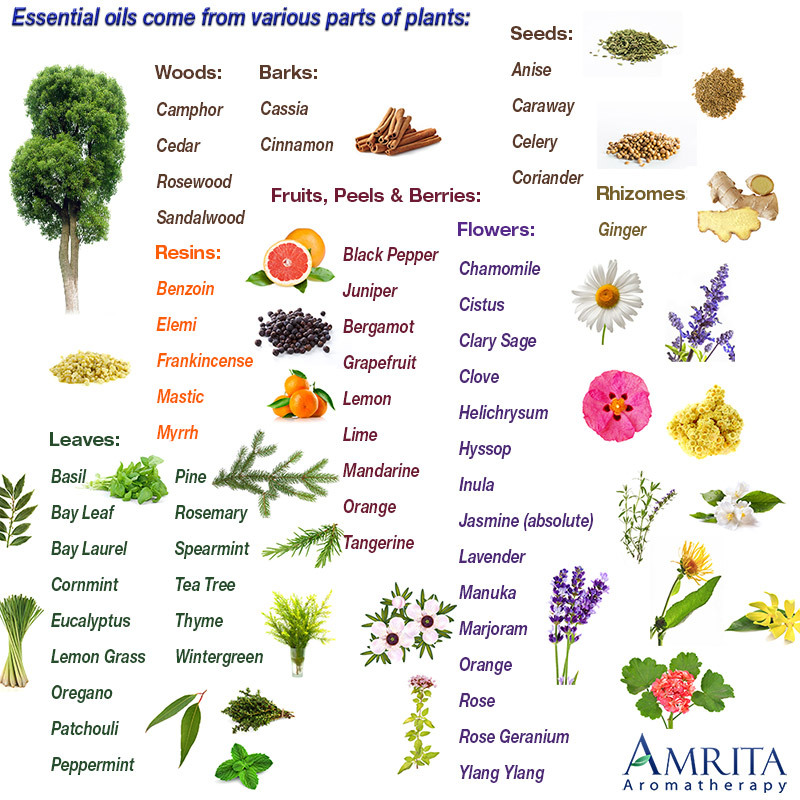 Essential oil picked from wild plants have the most active ingredients. Of course it is important that it is a controlled wild pick, enough plants must be left to seed. 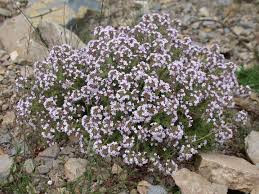 Thymus vulgaris, chemotype 'Linalool, grows high in the mountains and is softer on the airways, not as anti-bacterial but a neurotonic and it boosts immune system. Thymus vulgaris, chemotype Geraniol, gentlest of all the thyme oils on the skin. Thymus vulgaris, chemotype 'Thujanol', anti-bacterial, anti-fungal. 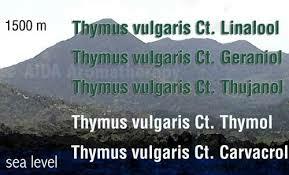 Thymus vulgaris, chemotype Thymol, works anti-bacterial, anti-fungal, digestive system. Thymus vulgaris, chemotype Carvacrol, strongest of them all, can cause liver damage if used in high doses. The usage of E.O. has been going on for centuries. 40.000 years ago the Aborigines knew which plants to use to fumigate. A terra cotta alambic dating back 6000 years was found on a dig in Pakistan. Inscriptions found dating back 4000 years for Mesopotamia and 3500 years for Egypt show that they knew the art of distillation and the virtues of plants that contained E.O. The Chinese used E.O. plants in their traditional medicine. The Greeks were aware of it too. Hippocrates (460-377 A.D.), described the usage of burning aromatic wood and aromatic plants. But, the person who first recorded techniques and methods to produce essential oil was Ibn-al-Baitar (1188-1248) a physician, pharmacist and chemist in Muslim controlled Spain (Andalucia). In the 19th century with the increased chemical knowledge, the usage of E.O. was more understood. René Gattefossé (1881-1950) a French chemist was the first person to use the word ‘Aromatherapy’. It was by accident that his interest in essential oils was kindled. He was working in a perfume laboratory and burned his hand. He dipped his hand into a basin next to him which turned out to contain Lavender oil. The hand healed very quickly with hardly any scars. He started to investigate the healing potential of different essential oils, their chemical make-up as well as their smell. 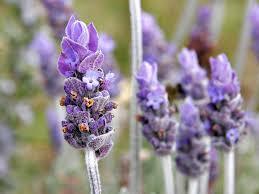 Lavender oil is one of the essential oil that can be directly used on the skin. In 1964, Dr. Valnet, after having served as an army doctor and surgeon relanced the medical usage of essential oils. So how do we extract the essence out of a plant. There are only two methods that give high quality E.O. for therapeutic uses, Steam Distillation an Pressing. The most common way obtaining E O, it is through steam distillation. The plant material is placed in an alambic (distillation vat). A container with water is brought to boiling point, the steam developed during the boiling process is led via pipes into the alambic. The steam is fed through the plant material. The heat of the steam opens the plant cells and takes with it the oil molecules present in the plant material. Steam rises. At the top of the alambic is another pipe that leads through a reservoir of cold water. The steam and E.O. is led through this pipe to the cold water reservoir, cooling the mixture, the steam turns to water containing E.O. After passing through the reservoir of cold water, the pipe ends up in the final receptacle. As oil is lighter than water the E.O. floats to the top, it is then siphoned off. Only used with citrus fruits (lemon, orange and bergamot). The skin is rich in essential oils. A hydraulic press is used for this. 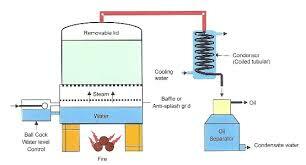 After the pressing more oil can be obtained through distillation. The oil is of lesser quality though. The oldest method of extracting essential oils. Even before the time of the Egyptians it was known that fat absorbs frangrance. A plate is covered in odourless animal fat. Petals are placed on the fat and removed once the fat has absorbed all the fragrant molecules of the petals. 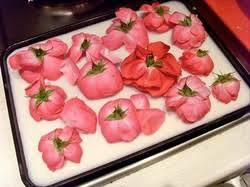 They are then replaced by new petals till the fat is saturated with the right amount of fragrant essence. This process is repeated about 30 times. The pomade (essence and fat) is then soaked in ethyl alcohol and thoroughly stirred. The fragrant molecules are absorbed into the alcohol. The alcohol is then separated from the fat by cooling the mixture, as alcohol does not solidify, it is easily separated from the fat. The alcohol is then allowed to evaporate. Once the alcohol has evaporated what is left is E.O. referred to as absolute. We talk about an absolute when alcohol is added to extract the E.O.. The leftover fat containing a lot of scent elements is often used to make soap. Enfleurage is used for delicate flowers like jasmine or tuberose where the essence would be destroyed by high temperatures such as from distillation. The method of enfleurage is now superceded by more efficient techniques such as ‘Solvent Extraction’ using compresses gasses, or ‘Supercritical Fluid Extraction’ using Carbon Dioxide (CO2). A fairly new way of extracting. Carbon Dioxide (CO2) under high pressure turns into an inert (inactive) liquid solvent which is then led through the plant material, breaking open the plant cells and carrying with it the essence, much like with steam. The installation is quite expensive and is used where steam distillation is not suitable. Most flowers contain too little volatile oil and their chemical components are too delicate and easily altered by the high heat used in steam distillation. Solvents like Hexane, Benzene, Toluene, Acetone, Isopropanol and Petroleum Ether are used. The plant mass is mixed with these solvents. This results into a paste called a concrete containing a mixture of essential oil, waxes, resins and other oil-soluble plant material. To obtain E.O. from the concrete it is necessary to use another solvent like Ethyl Alcohol. The concrete is mixed with Ethyl Alcohol, it is then chilled to -18C for more than 48 hours which causes the waxes/resins and lipids to solidify. The solid particles are separated from the alcohol. After evaporation of the alcohol what is left is E.O. This method produces far more oil than the traditional methods but there is always a residue of the solvents in the E.O. which makes it unsuitable for therapeutic purposes. It can also change the make-up of the E.O. We refer to E.O. obtained through solvent extraction and alcohol as an absolute and this should be mentioned on the E.O. bottle. The only two solvents that produce good quality E.O. using the solvent method are Ethyl Alcohol and Petroleum Ether. The obtain the essence out of resin a solvent is used. If alcohol is used it is called a pure resin, if CO2 or other solvents are used it is called a resinoid. So how do we use essential oil. The shelf life of an E.O. is about 2 years. The most simple way is to put a few drops of essential on a hankie hold it up to the nose and inhale. 20 drops of E.O. dispersed in a soupspoon of Shampoo,Shower Gel, Fractionated Coconut Oil, Aloe Jelly, Solubol and Polysorbate 20 and 80. Fill the bath and add the mixture. 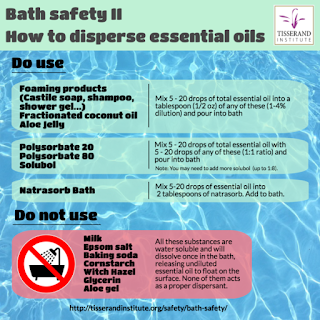 Depending on which diffuser you use, follow the guidelines of how many drops of E.O. you should use. On average between 8 to 15 drops. Do not diffuse for more than 20-30 minutes at the time. This can be repeated after a couple of hours. Some E.O. 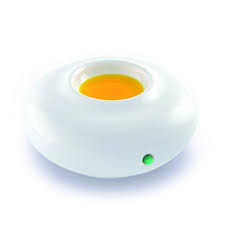 that should not be used in a diffuser: Bay, Caraway, Chamomile, Cinnamon, Clove, Lemongrass, Peppermint, Rosemary and Thyme. We breath in oxygen together with the essential oil when we use a diffuser. 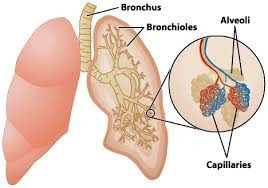 Inhaled substances pass through the trachea into the bronchus and from there into finer and finer bronchioles ending in the microscopic, sac-like alveoli in the lungs where gaseous exchange (oxygen and carbon dioxide) with the blood mainly takes place. Oxygen from inhaled air diffuses through the walls of the alveoli and adjacent capillaries into the red blood cells. The oxygen is then carried by the blood to the body tissues. Carbon dioxide moves in the opposite direction from the blood into the capillaries then into the air in the aveoli. This is a useful method to treat insomnia, emotional problems, respiratory congestion, to cleans the room of potential microbes. 6 drops of E.O. in 15-20 ml almond oil or other oil of your choice. The molecules in E.O. are very small and can penetrate through the epidermis to the dermis. This layer has numerous capillaries. The essential oil enters via the capillaries into the bloodstream. E.O. does not stay in the body. It is expelled via urine, feces, perspiration and exhaled air. In a healthy body it takes 3-6 hours before they are removed, in a sick body it takes about 14 hours. In general do not use E.O. on children younger than 7, E.O. of Mandarine being an exception. Not advisable to use when your are pregnant. It should not be used on persons who suffer from dermatitis or eczema or with a very sensitive skin. It is inadvisable to use a massage with E.O. just before using a sauna, Turkish bath or sunbed or going to the beach. Do not massage when someone has a fever or a viral infection, the massage via the lymph glands could spread the infection further in the body. Do not mix more than 3 E.O. together. 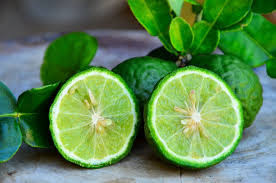 Origin: Tropical Asia, probably a cross between Lemon (Citrus limon) and Bitter Orange (Citrus aurantium). Produced through cold pressing of the peel. It is named after the town Bergamo in Italy. Introduced into Italy, Marocco and Ivory Coast. Bergamot is used to give Earl Grey tea its special flavour. It is much used in the perfume industry, one of the ingredients in Cologne. 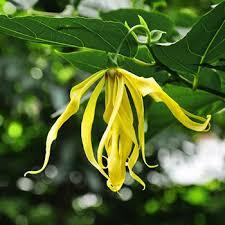 Careful going into the sun with perfume containing Bergamot as it is photosensitive and causes skin discoloration. Bath/Diffuser – to relax and calm. Bath and Diffuser – beneficial for skin problems such as acne, eczema, herpes simplex and in general for greasy skin. Can be mixed with: E.O. of Tea Tree, Lemon, Rose Geranium, Lavender angustifolia, Néroli, Jasmin, Bay Leaf, Patchouli and Ylang Ylang. Produced through steam distillation of the flowers. Bath/Massage – itching, insect bites and allergies. Produced through steam distillation of the leaves. Not to be confused with Cymbopogon nardus var lenabatu from Ceylon, which has a different usage. Bath – Anti pain, transfer 10 drops of E.O. Citronella and 10 drops of E.O. Rosemary in a dispersant and mix into the bath once it has filled up. 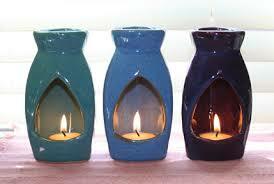 Diffuser – Excellent to keep mosquitos at bay. Can be mixed with E.O. of Basil, Gaultheria, Juniper, Rose Geranium, Lavender (angustifolia), Lavandin, Bay Leaf, Marjoram and Rosemary. Produced through steam distillation of the leaves, cones and young shoots. The Cypress tree is associated with death. A symbol of eternal death because once the tree is cut it will never grow again. 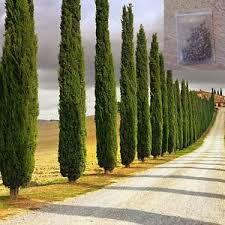 The old Greeks and Romans planted cypress trees at their cemeteries. The Egyptians made coffins of the wood. In general a stimulating E.O. Bath/Diffuser/Massage – Strengthens the veins, treats varicose veins, helps with the feeling of heavy legs, also to reduce oedema in the lower legs. Massage: not during pregnancy and near to varicose vein. Can be mixed with Bergamot, Roman Chamomile, Lemon, Eucalyptus, Juniper, Lavander (angustifolia), Mandarine and Peppermint. 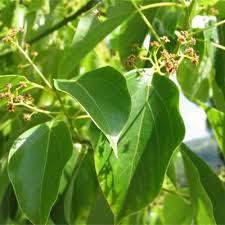 Produced through steam distillation of fresh or partially dried leaves and twigs. The Aboriginal people of Australia made a compress with the leaves and laid them on the skin to heal wounds or to treat muscle pain. 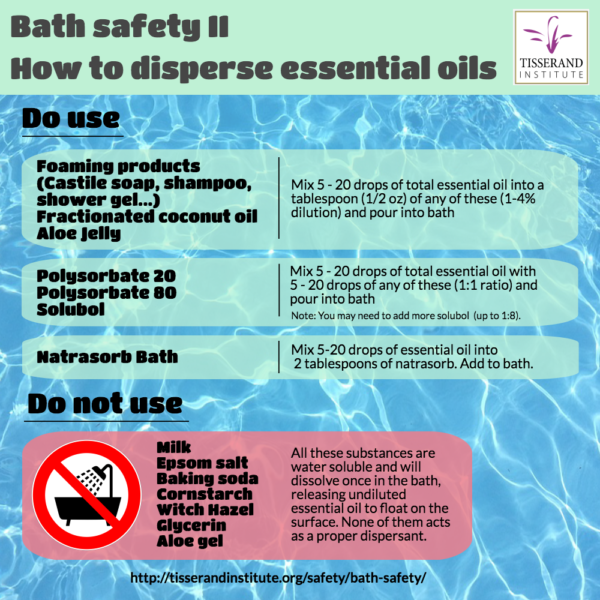 Bath/Diffuser/Massage – Respiratory problems, colds and hay fever. Bath/Massage – Skin care, heals wounds, insect bites, burns and blisters. Massage – Painful muscles and joints. Diffuser – Aroma stimulating effect on the nervous system. Diffuser – Insecticide, anti-viral and antiseptic. 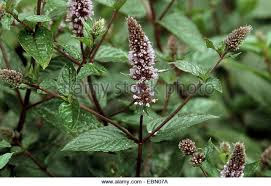 In massage, a combination of Eucalyptus, Lavandula angustifolia and Citrus bergamia helps with rheumatism and arthritis. Not for children under 7 years old. Not to be used on epilepsy and high blood pressure sufferers. Can be mixed with E.O. of Lemon, Lavender and Peppermint. Origin: Locally between 600 and 1200 m.
Produced through steam distillation of the plant material. Brings our central nervous system in balance and helps with depression, calms and relaxes. 3 to 4 drops of Lavender Essential Oil in a diffuser for 15 minutes, 1 hour before going to sleep helps insomnia. Bath/Diffuser/Massage – Relaxing and Calming. Bath/Massage – Skin Care, increasing the healing process of burns (minimum scar tissue) and sunburn. Can be mixed with E.O. of Bergamot, Lemon, Cypres, Rose Geranium, Bay Leaf, Scotch Pine. Rose, Clary Sage and Rosemary (containing cineole). Lemon (Citrus limonum), a cross between the Citrus medica (Cedrat), Citrus limetta (Sweet Lime) and Citrus paradisii (Grapefruit). Produced through pressing of the skin. 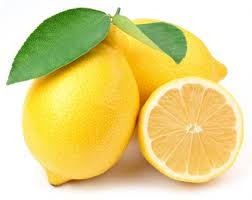 Lemon calms nausea and helps with the digestive system. Diffuser – Keeps the mosquitoes at bay. Diffuser – Cleans the air. Massage – Skin Care to treat cellulite, use 8 drops of E.O. of Lemon, Rose Geranium and Lavender (angustifolia), massage 2 x per day. Can be mixed with Cypress, Ginger, Mandarin, Sweet Orange, Rose Geranium, Lavender, Lime and Marjoram. 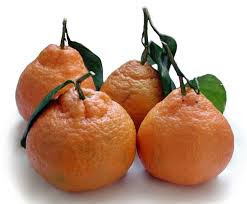 The name Mandarine comes from China. High level civil servants were called Mandarins. The fruit was traditionally offered as a form of respect, hence the name. Introduced into Europe in the middle of the 19th century via the Silk Route. 40 years later it was introduced in the U.S.A. where the fruit was called tangerine as it was imported from Tangiers, Marocco. A very child friendly oil, not be used undiluted though. For nervous children over the age of 3, who have problems getting to sleep, diffuse a few drops of E.O. of Mandarine, 15 minutes before bed time. Can be mixed with E.O. Roman Chamomile, Bergamot, Lemon, Lavender angustifolia, Grapefruitl, Citronelle, Ylang Ylang. Peppermint (Mentha x piperita) a cross between Watermint and Spearmint. Origin: Europe & Middle East. Massage - respiratory problems: rhinitis, sinusitis, laryngitis, spasmodic cough either by massage the chest. Massage – Stomach cramps, fill 50 ml bottle with Almond Oil, add 50 drops of mint E.O, rub stomach clockwise after each meal. Massage – Occasional headaches put 1 drop E.O. of Mint on each index finger and rub the temples and neck. Can be mixed with E.O. of Rosewood, Lemon, Cypres, Coriander, Juniper, Lavender, Marjoram and Rosemary. Bath/Diffuser – Respiratory tract, colds, laryngitis, sore throats, flu, bronchitis. Bath/Diffuser/Massage – Skin care, herpes + herpes zona. Can be mixed with E.O. of Tea Tree, Lemon, Citronelle, Rose Geranium, Lavender angustifolia and Mandarin, Grapefruit. Produced through steam distillation of the flowering tops and leaves. In the 14th century, Queen Elisabeth of Hungary, suffering from gout, was cured using a potion with Rosemary as the main component. This potion called ‘Queen of Hungary Water’ was used till the 17th century to calm the nerves and obtain a beautiful skin. 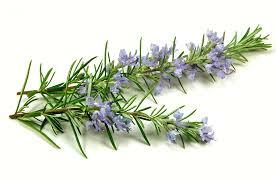 During epidemics Rosemary was burnt in French hospitals because of its disinfectant qualities..
A few drops of E.O. of Rosemary on a hankie improves concentration. Very good to have in the car when driving long distances. Bath/Massage – Stimulating, increases available energy. Bath/Massage – Respiratory tract infections and flu. Bath/Massage – Painful muscles and joints. Cam be mixed with E.O. de Lemon, Citronelle, Eucalyptus radiate, Lavender angustifolia and Mandarin. Produced through distillation of the bark. 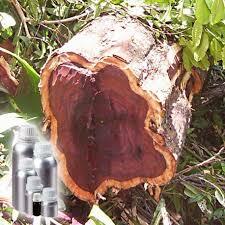 Rather expensive and rare, often replaced by the Camphor Tree which produces similar properties and scent. Diffuser – Respiratory problems in particular bronchitis. Massage – Mature skin - dry, irritated, tired skin, helps with wrinkles. Can be mixed with the E.O. of Patchouli, Rose, Neroli. Produced through steam distillation of leaves and twigs. 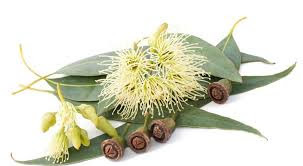 The Aboriginal people of Australia used it to heal infected wounds. Captain Cook’s crew when in Australia made tea out of the leaves, hence the name ‘Tea Tree’. It was introduced into Europe around 1927. 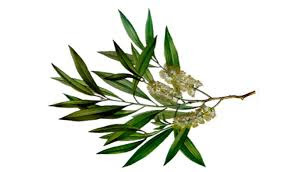 During World War II, Tea Tree was given to soldiers who fought in the tropics to treat skin infections. Bath/Massage – Skin care to treat infections, wounds, acne, blisters, warts, herpes and insect bites. Massage - Antiseptic, Antiviral and Antibacterial. Can be mixed with E.O. of Lemon, Manderin, Cypres, Rose Geranium, Bergamot, Peppermint and Ravintsara. Produced through steam distillation of flowering parts. Bath/Massage – Stimulating and increases available energy..
Bath/Masasage – Respiratory problems, cold, flu, bronchitis and asthma. E.O. of Thyme is a strong antiseptic. Can be mixed with E.O. of Gaulteria, Juniper, Scots Pine and Rosemary. The name comes from the Malay words ‘alang ilang’ which refers to the swaying of the flowers in the wind. In Indonesia the bed of young married couples are strewn with Ylang-Ylang flowers. Bath/Diffuser/Massage – Relaxing and calming for stress, anguish, light depression, low libido. Bath/Massage – Skin Care for aging of the skin, dryness of the skin. Can be mixed with E.O. of Rosewood, Roman Chamomile, Rose Geranium, Lemon, Lavender angustifolia, Neroli and Sweet Orange.